Since Richard Ahrens (BSBA ’69) graduated from the University of Florida with a degree in marketing, he’s only ever worked at one company. The only person who’s ever been his boss was his father. In fact, over the span of almost 50 years, Ahrens has worked in every department at his family’s West Palm Beach-based architectural and construction company, Ahrens Companies. Ahrens continued to learn from his father even after his first few years at the company. For 20 years the two worked together, continuing to grow the family business from its humble beginnings in 1902. 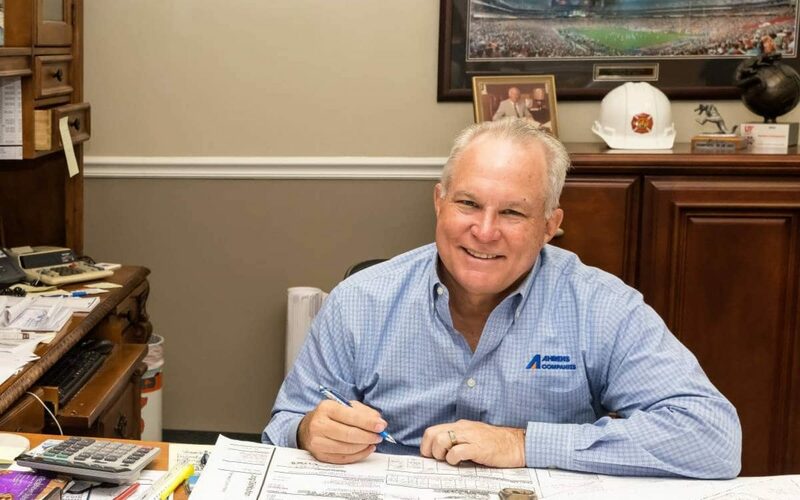 Ahrens continues to serve as the President and CEO of Ahrens Companies, where he’s able to put his experience in different departments to use as he oversees everything from the design and construction of all projects, to closings, sales pitches and project costs. Another important lesson he learned from his family, though, is that he can’t do it all by himself. Ahrens learned the importance of dedication and teamwork even before he started at Ahrens Companies, though. As a member of the University of Florida swim team all four years of college, he gained valuable experiences he would be able to use throughout his time at the Warrington College of Business and in his career. With years of experience and powerful life and business lessons under his belt, Ahrens has returned to Gainesville numerous times to share his wisdom as a judge at the Entrepreneurship and Innovation Center’s Big Idea Competition. Ahrens said he has two main pieces of advice for students now. First, find a good mentor. Second, don’t pursue something you don’t enjoy.